N-terminal acetylation (Nt-acetylation) refers to the acetylation of the free α-amino group at the N-terminus of a polypeptide. While the effects of Nt-acetylation are multifaceted, its most known function is in the acetylation-dependent N-end rule protein degradation pathway (Ac/N-end rule pathway), where Nt-acetylation is recognized as a degron by designated E3 ligases, eventually leading to target degradation by the ubiquitin-proteasome system. Naa10 is the catalytic subunit of the major Nt-acetylation enzyme NatA, which Nt-acetylates proteins whose second amino acid has a small side chain. In humans, NAA10 is the responsible mutated gene in Ogden syndrome and is thought to play important roles in development. However, it is unclear how the Ac/N-end rule pathway affects the differentiation ability of mouse embryonic stem cells (mESCs). 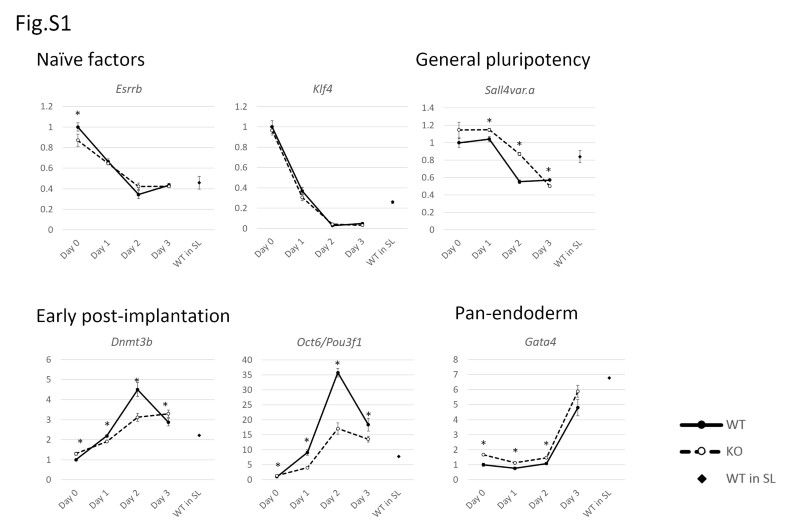 We hypothesized that the balance of pluripotency factors may be maintained by the Ac/N-end rule pathway. Thus, we established Naa10 knockout mESCs to test this hypothesis. We found that Naa10 deficiency attenuated differentiation towards the epiblast lineage, deviating towards primitive endoderm. However, this was not caused by disturbing the balance of pluripotency factors, rather by augmenting FGF/MAPK signaling. The online version of this article ( https://doi.org/10.1007/s11626-019-00341-8) contains supplementary material, which is available to authorized users. We thank James P. Mahaffey, PhD, from Edanz Group (www.edanzediting.com/ac) for editing a draft of this manuscript. We thank Mr. Naohito Tokunaga at the Division of Analytical Bio-Medicine the Advanced Research Support Center (ADRES), Ehime University for his technical assistance. 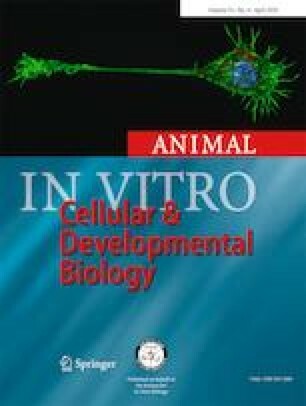 This work was supported by JSPS KAKENHI (grant number JP18J11231).